10. Be sure to travel during the promotion. Before you get online or call Disney to book your vacation in hopes of securing that free dining plan, be sure you’ve double-checked the dates. 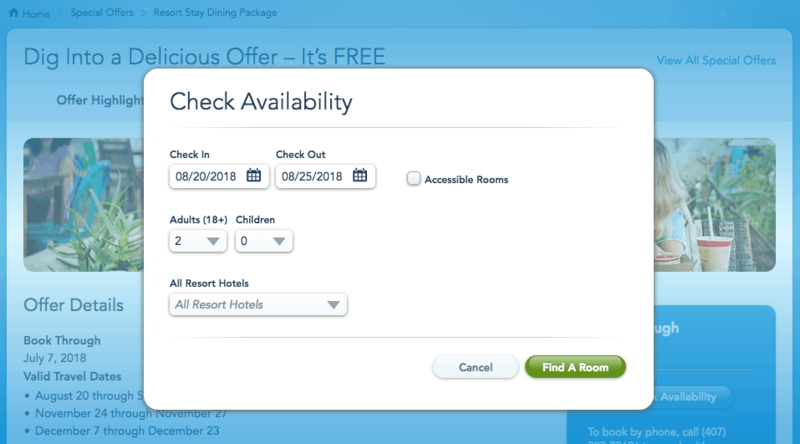 Disney specifically outlines the eligible dates of travel for the promotion, and if you aren’t traveling during those dates, your vacation package will not include the free dining plan.